He is a restaurateur, cookbook writer, and a Masterchef Judge. On the other side, he is a loving father and companion. 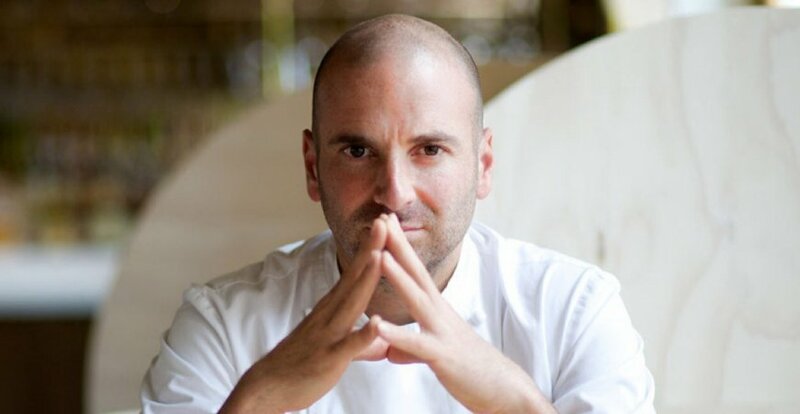 George Calombaris steals the spotlight of Australia, especially Melbourne food scene with the rapid growth and differentiation of his restaurants. With Greek cuisine trademark, George brought fresh air to food-enthusiast in Australia. He opened his first restaurant, The Press Club, in 2006. Australian food lovers easily fell in love with its modern Greek concept. Aggressively developing, there are now Gazi, Hellenic Republic, Mastic, and Jimmy Grants, a healthy Greek fast-food chain. However, he is better known as a co-judge of Masterchef Australia. You may think about him living a glamorous life, but turned out that he is just a family guy. On a visit to Jakarta, he told us about the essentials of his simple yet fulfilling life. Where did you learn to cook for the first time? I learn cooking from my mother, Mary Calombaris. It’s so easy to fall in love with her cooking. She introduced me to Mediterranean dishes, especially Greek cuisine that involves many fresh ingredients, olive oil, and herbs. What is your favourite mom’s cooking? My favourite comfort food is Avgolemono, a Greek traditional chicken soup. It consists of chicken broth, rice, chicken back, eggs, and lemon. My mother often made this dish when I was sick. I ate a bowl and felt better in no time. What do you like to do when you have spare time? I like hanging out with some friend. I also love watching soccer matches. My favourite team is Manchester United. Until now, I believe that if I do not work as a chef, I will definitely play soccer. How do you manage to lose weight and maintain your good shape? Just don’t eat excessively. Control the meal that goes into your body. Tasting many dishes in Masterchef kitchen as a judge, I definitely will not have lunch or dinner again. I also pay attention to my water intake as well as consuming more herbal tea. I hit the gym as well. The key is incorporating healthy lifestyle into our routine. How do you introduce your children to healthy lifestyle? Apparently, my spouse’s family lives in a farm. Her backyard is big and full of crops. Even there are also small apiary and poultry farm. It is very nice that on harvest season, we got honey, organic eggs, and crisp vegetables. I can introduce my kids to healthy lifestyle through food since we use the best ingredients. I also get my kids to snack responsibly. When my son feels like snacking, he just goes to refrigerator and enjoys his mini carrots. Name three must-have ingredients in your refrigerator. Pickled cucumber, hummus, fresh vegetable and fruit. Well, that’s four.